This table is a wonderful huge size. The top is made of reclaimed oak in a deep rich lacquer and the base is made of reclaimed beam legs and alder in a distressed crackle white with lacquer finish. We also refinished their chairs to match. The table has two drawers built in with modern drawer slides and antique finish crackle knobs. The single bench was made to match the table as well and uses the same materials for the top and reclaimed oak posts for the legs. 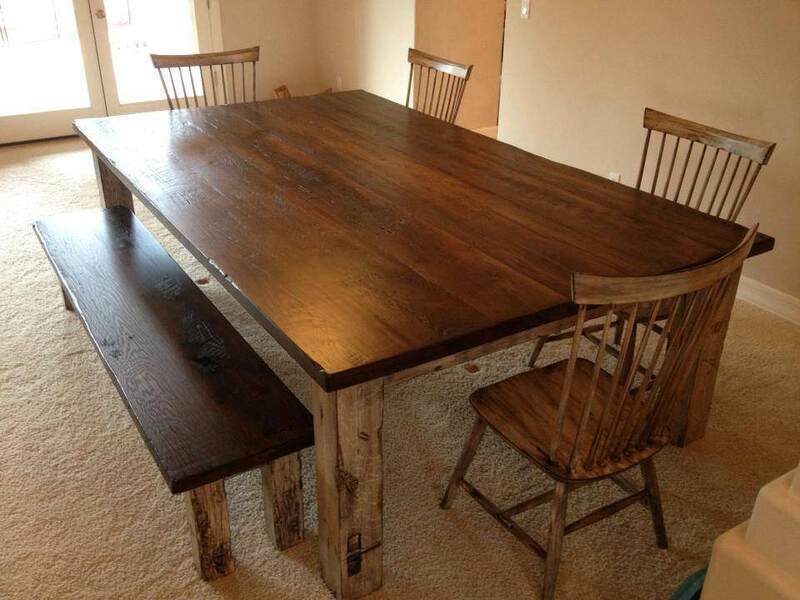 This is one of our favorite tables in the farmhouse style.